Last night, in the main event of UFC 228, UFC welterweight champion Tyron Woodley picked up a dominant title defense, submitting his undefeated challenger Darren Till in the second round. It did not take long for Tyron Woodley to find himself in another fighter’s crosshairs. 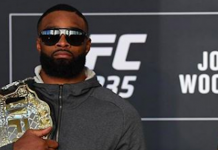 Shortly after the fight, Woodley was called out by former interim welterweight champion Colby Covington, who was quietly stripped of that title once the UFC 228 main event began. 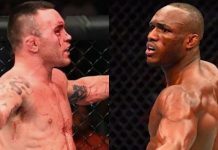 Covington is hoping to battle Woodley at UFC 230 this November 3 in New York City’s Madison Square Garden. “@Twooodley Tyrone! You didn’t blow it!!! Time for you to come see me in @TheGarden. America’s Champ has another promise to keep. 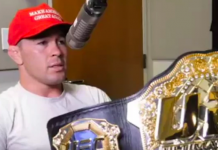 #ufc228 #thepeopleschamp #greatamericanwinningmachine” – Colby Covington on Twitter. 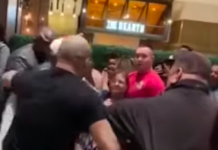 Colby Covington also had a message for Tyron Woodley’s vanquished opponent, Darren Till. “@darrentill2 go home you can crushing doughboy! You were never ready for prime time junior! 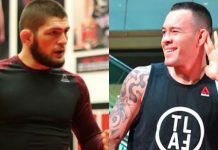 #ufc228 #greatamericanwinningmachine” – Colby Covington on Twitter. Shortly after the UFC 228 main event, Tyron Woodley was also called out by Stephen “Wonderboy” Thompson, who he has fought twice previously. This callout did not go over well with Covington, who feels that he, not Thompson, should receive the next crack at Woodley and the title. “Great fight, well done @TWooodley. I fought both guys, and I’m down to fight both again! T-Wood, we got unfinished business! #WoodleyvsThompson3” – Stephen Thompson on Twitter. “Oh shut the hell up you virgin! 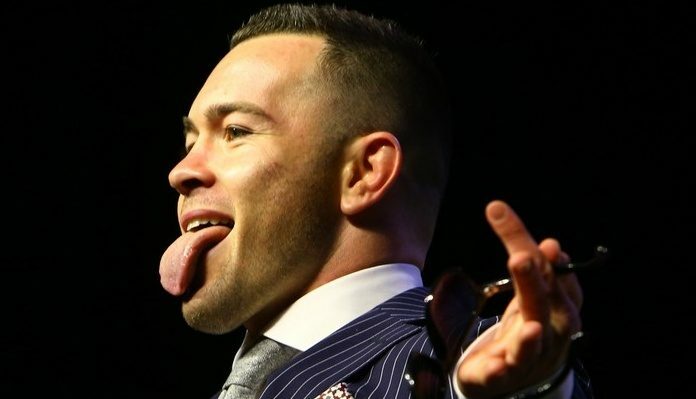 You’re at the back of the line choirboy.” – Colby Covington on Twitter. 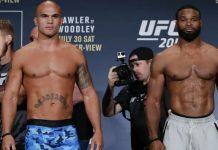 Does a UFC 230 title fight between Tyron Woodley and Colby Covington interest you, or should the next title fight go to somebody else, such as Stephen Thompson? Join the debate in the comments section below!